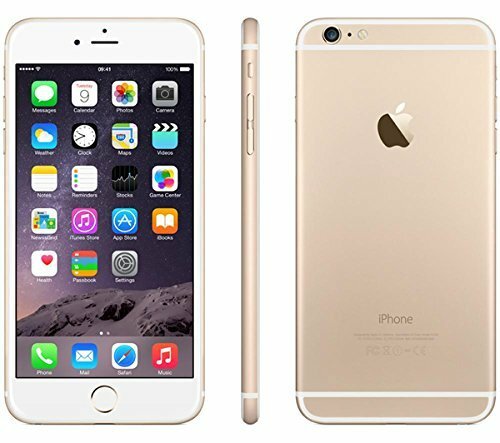 Apple iPhone 6 Plus is a very high-end iOS cellphone released in September 2014, with a large 5.5-inches display, an exceptional 64 bit Dual-Core CPU clocking at 1400 MHz, and two cameras, an 8 megapixels back side camera and a 1.2 megapixels front camera. Being just 0.28 inches thick,the iPhone 6 Plus is incredibly slim and practical. The iPhone 6 Plus is only 6.22" long, but it is able to fit a a 5.5 inches screen. 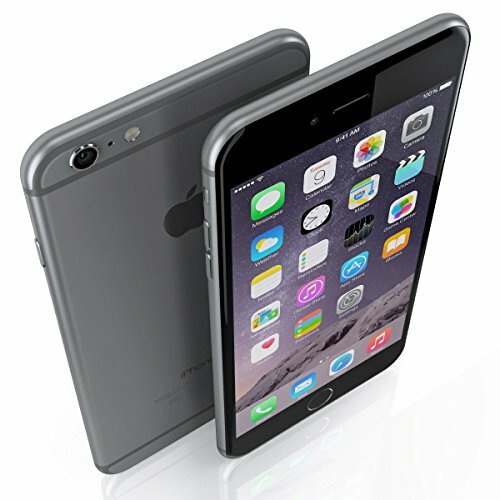 Apple made a really good job making this cellphone as lightweight as 6.07 ounces. Talking about its construction materials, this cellphone is manufactured with Aluminium, which gives a top level design. Apple is offering the Apple iPhone 6 Plus in 3 color options: black, gray and gold. This phone is powered by a Apple A8 chip, packing an exceptional Dual-Core CPU ticking at 1.4 GHz with only 1 GB of RAM which is a bit low for a cellphone this good. Graphic calculations generally uses lots of CPU time, so this phone also has a PowerVR GX6450 graphic processing unit working at 450 megahertz to improve overall performance. A key feature of the Apple iPhone 6 Plus is the 128 GB large internal storage and though it doesn't include an external memory card slot, it is still enough to install tons of apps, games, songs, photos and videos without having to worry about running out of space. This cellphone is equipped with two cameras, an 8 megapixels back side camera and a 1.2 megapixels front camera. this device's back side camera lens has a maximum F2.2 aperture so it can take excellent photos even in low light situations. It is capable of filming Full HD 1920x1080 videos at 60 fps, and slow-motion videos in 1280x720 (HD) up to 240 frames per second. Additionally, the camera features many valuable features like flash, fast burst mode, auto-focus, optical image stabilization, HDR mode, face detection shooting, geo tagging and time lapse video. Apple packed this cellphone with a great 5.5" screen, and a resolution of 1920 x 1080 (Full HD), which makes all images and videos look absolutely perfect. This screen uses IPS LCD capacitive technology, with a brightness of 500 cd/m2 and has multi-touch detection. 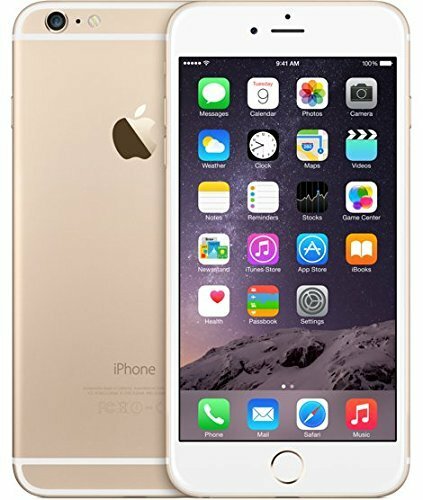 The iPhone 6 Plus uses a big capacity 2915 mAh Li-Ion non-removable battery that can keep this phone running for several hours, although you may find yourself looking for a place to charge it after some heavy use. Apple informs a 24 hours talk time and a 384 hours stand by time for this cellphone. An issue to take into consideration is that this cellphone's battery isn't replaceable	so you can't buy a new battery when it begins to have trouble holding its charge, while with so much capacity you will probably buy a new phone before it becomes an issue. This cellphone features wi-fi capability (which can be shared with other devices around, acting as a wireless router or modem), LTE (4G) high speed connectivity or 3G fast connection type, supported by HSPA, HSUPA, UMTS, EV-DO A, EV-DO B and EDGE technologies. This phone uses a Nano SIM card to connect to GSM networks and it works with both CDMA and GSM carriers. This device also comes with many interesting features like Bluetooth, Fingerprint Reader, GPS (Global Positioning System) and NFC, and multiple sensors like Light Sensor, Proximity Sensor, Accelerometer, Gyroscope, Barometer and Compass. This phone costs just 559 dollars, which is an incredibly low price for such a good device. No matter if you want a gaming phone, want a phone majorly for internet broswing and social networks, are a photography fan or will use it for work, this phone is probably the correct option for you. 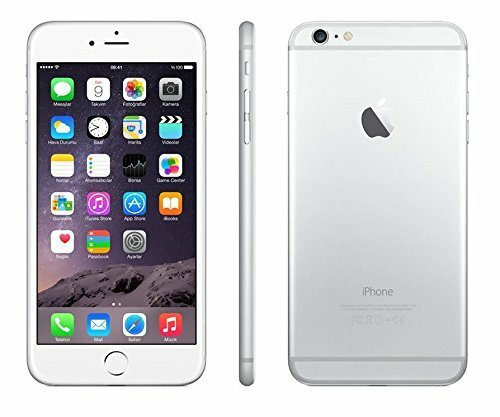 The Apple iPhone 6 Plus comes with USB Power Adapter, Documentation, Lightning to USB Cable and Apple EarPods with Remote and Mic.